The first week in July I went on a family vacation with my husband, son and two granddaughters. I had a great time getting away, but I came home exhausted. 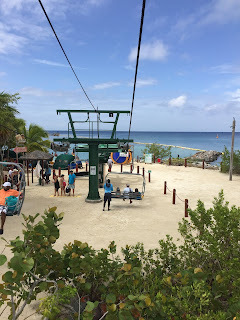 We went on a cruise to Cozumel, Belize and Honduras. The weather was perfect. It rained one night while I was sleeping. The seas were so smooth and beautiful to look at. Each place we stopped at we took an excursion. In Cozumel, we went swimming with the dolphins and that was a thrill. When you swim with the dolphin (Theresa), she moves fast in the water, but she can stop quickly so you don't run into your family. Beautiful animal. In Belize we went to see a Mayan ruin site. I wanted my granddaughters to get a glimpse of who lived in the past. Our guide was so knowledgable. His grandfather was a Mayan, and he shared his family's culture. My family even got to climb to the top of one of the structures. I didn't because I have a bad knee that will be replaced in six weeks. Needless to say, I walked a ton of steps on the ground that day in the jungle with 100% humidity. In fact, the whole trip I walked a lot to the point I went to bed exhausted each night and slept well. In Honduras, I swam and enjoyed the beach at a private island. Beautiful country and the water was great. Thankfully I didn't have to walk as much there as I had in the other two stops. Everywhere we went the people were so nice. But when I returned home, it took a week for me to get back to the real world. 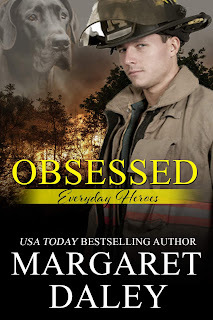 My new release coming out July 20th is Obsessed, Book 2 in Everyday Heroes Series. Sounds great, even if you have to rest up now from your vacation. We saw the Mayan ruins on a cruise to Cozumel last year. What an exciting vacation! 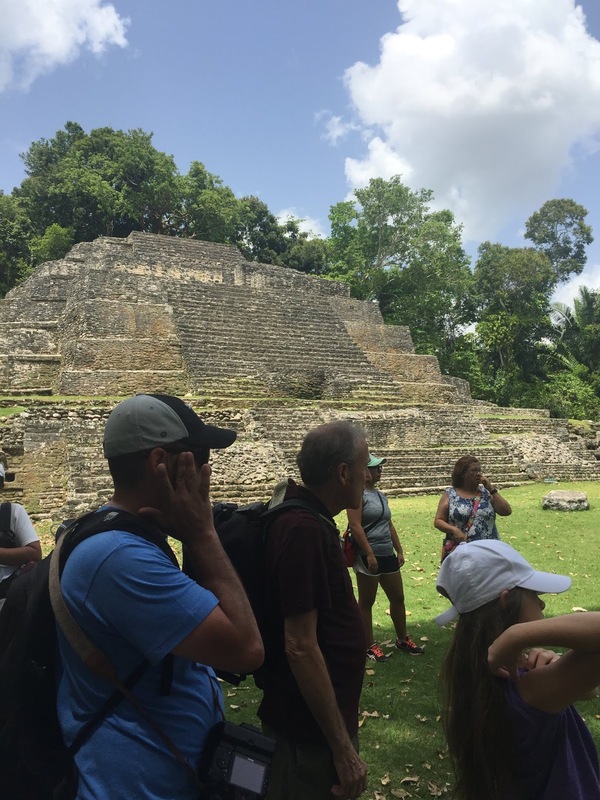 Swimming with the dolphin and seeing the Mayan ruins must have been like a dream. Swimming with the dolphins looks so fun. You look so happy. I think the highlight was the dolphin swim. Thank you so much for sharing with us about your trip, Margaret! How delightful that your family could enjoy those wonders together! And big congratulations on this week's new release! It sounds great!